We consider our customers to be more like partners in business, and we aim to build gratifying long-term working relationships with our partners. A condition in which, when we think of our customers, it’s not the company that comes to mind, it’s the person(s) that we correspond with. In order for Bio-Source to provide the highest level of service and support, we gladly offer the following services for our customers. Bio-Source provides complimentary private labeling for our customers. Our service role is to help you convey a level of professionalism to your clients; and having your company’s name and logo on the product label is one of the best ways to do so. Furthermore, it enables your company the ability to establish a brand that can be marketed and built upon. Bio-Source offers assistance with the sub-registration of biocides in states where our customers desire. We quarterback this process with diligence in order to obtain the registration(s) as quickly as possible; thus, limiting lapsed time and helping your company to not miss out on new business. When our customers do not prefer to have their products sub-registered, they are carried under the manufacturer’s label. We do provide our products in bulk, or truckload (TL). But, Bio-Source also provides the service of repackaging in order to allow our customers the ability to purchase water treatment chemicals and raw materials at great prices based on what their needs are; versus being forced to purchase larger volumes in hopes that their future projections are accurate. The benefit of more operating capital isn’t the only one that repackaging offers. Sometimes equally important, having products reduced down into smaller packaging eliminates congestion in the warehouse, allows a storage facility to operate well within the required governmental guidelines, reduces the burden of purchasing and maintaining adequate equipment required to handle volumes in bulk, and it reduces human error in regard to material handling and safety. Products are available in TL, totes, drums, and pails. Orders can be combined to meet the next volume price breaks. 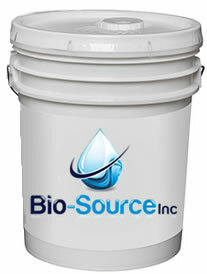 Bio-Source provides expert technical, consulting, and formulation assistance for our customers. Efficient water treatment blends are not a “one size fits all” formulation. To the contrary, the multitude of parameters inset by individual systems, the biotic and abiotic factors of make-up water, and the requirements due to changing seasons all play a role in developing custom blends. We embrace these challenges and enjoy the process of developing custom solutions designed specifically for your needs, in the amount that you need, with prompt turnaround. We at Bio-Source feel like we’re continuously on the receiving end of the relationships that we have with our chemical and raw material suppliers, warehouses, and freight companies. The backbone of our business is made up of the professionals in the front offices and at the loading docks of said companies. 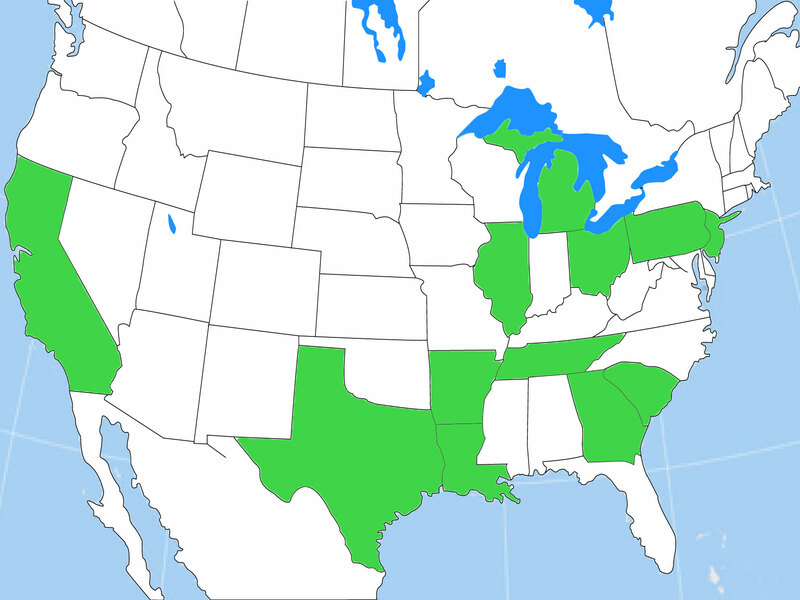 Bio-Source’s stocking locations are located throughout the country in Arkansas, California, Delaware, Georgia, Illinois, Louisiana, Michigan, New Jersey, Ohio, Pennsylvania, South Carolina, Tennessee, and Texas – we cover the area like the dew. This allows us to get products to you faster, and to save your company money. In addition, we have some of the best freight rates out there; and we take the time to find you the best rate on each and every shipment. When one is shipping thousands of pounds, the price/lb can really add up. The additional monies saved through shipping sum up to be substantial; thus, improving your company’s profitability. In concert with our other services, Bio-Source offers laboratory analysis as well. With almost 40 years of experience in the water treatment industry, we have a thorough understanding of the problems that can arise in boiler and cooling water, field, and process applications. We believe the success of a water treatment program is derived from the symbiotic relationship between us and our customers; and it begins with our trust in your knowledge of how the systems that you service operate, and the requirements set forth by your clients. In order, we are here to assist you in the determining of the problem, creating the best solution, and then to help you implement the solution. We provide water, deposit and corrosion coupon analysis, as well as microbiological. We provide samples of products upon request, as well as Certificates of Analysis. Bio-Source offers training seminars at your location for your service team and plant managers. The term “Training Seminar” sounds a little more sterile than what we like it to be. However, we feel that these meetings are of great value, and they serve as an education for both parties as to whom each is as a business, and who we are as people. They provide a chance for us to learn more about our customer’s current operations. Ultimately, it allows us the opportunity to bypass emails, and personally address your team’s concerns in order to discover ways to improve efficiency and increase your margins. It is Bio-Source’s responsibility to provide our customers with the best products, the highest caliber of customer service and support, and the technology needed to make their businesses successful. The use of water treatment chemicals actually saves water and reduces waste. And by implementing tracking software that monitors operating performance and logs data for analytical interpretation, our customers can improve their performance and operate with a higher level of confidence. For Bio-Source customers, we offer BWA’s Watercycle Software Program; in which can be an invaluable resource by creating a model of a plant’s operating conditions that can be used to optimize the dosages of the process chemistries used. The benefits of using the Watercycle Software Program are Scale Prediction, pH Control, Inhibitor Modeling, and Reports. Furthermore, the information can be accessed via smart devices when one is not onsite.